Photo by Robert E. Haraldsen. What I am about to say is not based on Ronald Laing’s published work, but on what I have gleaned from my personal relationship with him over the course of nearly 20 years, from 1973 when I first came to know him when I moved to London to study with him at the Philadelphia Association, then subsequently after returning to California in 1980 where I enjoyed occasional visits to my home in San Francisco, up until his death in 1989. So I knew Laing in a variety of contexts: as my boss when I worked for him at his institute in London, my teacher, supervisor, friend, house guest, and confidante. Over the course of this time, I not only observed him in all kinds of situations, but we also discussed his views about authenticity and countless other topics, so what I share with you is essentially distilled from these reminiscences. Though most people have the impression that Jean-Paul Sartre had the greatest impact on Laing’s thinking, the fact is that Laing was indebted to a host of existential philosophers. Laing’s conception of authenticity relied predominantly on the thinking of Friedrich Nietzsche and Soren Kierkegaard, who represent two very different, almost contradictory perspectives. Their, admittedly Eurocentric, perspective was in contrast to the popular notion of authenticity that is currently fashionable in America, which reduces it to whatever one happens to be feeling at any moment in time, as opposed to what one is merely thinking. This goes back to Rousseau who argued against the rationalistic bias that Enlightenment thinkers favored at the expense of feeling states that were important to artists and poets. This evolved into the notion that we are imbued with an inner self that is usually hidden from others. There was the added implication that the more authentic a person is, the more pleasing that person will be and the nicer that person is to others. Carl Rogers was a champion of this vision of authenticity. Now Nietzsche would have had none of this, first because he did not believe there is a stable self, so there is no “inner core” of feelings to access. Second, there is no direct or necessary relationship between authenticity and ethics, or how pleasing one is as a person. Behaving authentically may, in fact, make one extremely unpopular, as Nietzsche often demonstrated in his personal conduct. For Nietzsche (2002, 2003), the authentic individual is a person who is simply not afraid to face up to the anxieties of everyday living and is willing to speak his mind. This special person was embodied in Nietzsche’s conception of the Übermensch, superman or overman in English. This person is able to come to grips with his fears and overcome the weight of his suffering by accepting the harshness of reality instead of complaining about it. It is telling that Laing’s most popular and controversial book, The Politics of Experience (1967), where he railed against contemporary society as a toxic wasteland, was an homage to Nietzsche’s Thus Spoke Zarathustra (1966), one of Laing’s favorite books. Courage is a theme to which Laing referred countless times, noting that etymologically the root of the term goes back to the Latin cor, meaning heart. This led Laing to conclude that the literal meaning of courageous is not bravery, but openheartedness. So an extension of Laing’s approach to authenticity is that it requires courage, or guts in the conventional sense, but on a deeper, more profound level to be authentic means to open one’s heart to another person. This requires real courage, Laing would say, because it is the riskiest thing a person can do, and the most vulnerable situations one can inhabit. In a departure from Nietzsche, who separated morality from authenticity, Laing situated ethical standards at the heart of authentic relating in both his personal and clinical relationships. This was no doubt a feature of Laing’s need for and resonance with a spiritual dimension to his life that goes back to his university days in Glasgow, when he studied German existential literature with a group of thinkers and theologians who had fled Nazi Germany in the 1940s and settled in Scotland. One of the surprising features of Laing’s conception of authenticity was its proximity to one’s capacity for love, epitomized by the Latin term, Carritas, meaning charity. I say surprising because few people who knew Laing intimately would describe him as a particularly loving or charitable person, but Laing sought it all his life and found its absence to be the pivot around which the most chronic levels of human misery derive, including his own. In contrast to Nietzsche, Kierkegaard was a seminal influence on both Laing’s understanding of what love is and the relation it occupies to authenticity. One of the many books Laing recommended to me was Kierkegaard’s Purity of Heart Is to Will One Thing (1956), a wonderful text that addresses Kierkegaard’s notion of “double-mindedness,” or how the source of human suffering derives from hypocrisy, and how its cure amounts to cultivating a capacity for agapé. This is a form of love that early Christians associated with love of God, but can also be directed to other people. Laing was fascinated with religion and conversant with many of them, including Buddhism and other Eastern traditions, but it was Christianity with which he was most identified. From Kierkegaard, Laing adopted the idea that it is impossible to love another person while “trespassing” against them, which is to say, while doing them violence by using them for your own selfish ends. Though no relationship can be entirely free of self-interest, nor should be, Laing felt deeply that it is in our interest to aspire to a state of awareness with another whereby we are able to give and accept love without committing such violence. So what were the basic elements of authenticity in Laing’s thinking? Laing couldn’t bear people who he took to be phonies, who put on airs and pretended to be who they were not. On the other hand, he loved people who were able to be themselves, which wasn’t that easy to do in Laing’s company because he was never really comfortable with people, and this discomfort was telepathic. Though Laing excelled at putting his patients at ease in clinical situations, social settings did not bring out the best in him, where he could be boorish and intimidating, and sometimes drunk. A lot of Laing’s preoccupation with the dynamics of true- and false-self phenomena in his first and best book, The Divided Self (1960) speaks to his preoccupation with the inherent falsity that people erect around themselves in order to fit in with social mores. They pretend to be someone they are not and then get muddled as to who they genuinely are, often hidden from themselves and others. This was why Laing’s clinical work was devoted to helping the most hidden members of society to simply be themselves, if only with him. Laing’s ability to connect with his patients, especially those who had been diagnosed as schizophrenic, was legendary. He had no clinical technique; his technique was his ability to connect. His own social discomfort provided an invaluable vehicle for uncommon empathy with the most tortured members of society and will always remain the most cherished aspect of his legacy and his contribution to authenticity. Kierkegaard, S. (1956) Purity of heart is to will one thing. Trans. Douglas V. Steere. New York, NY: Harper and Row. Laing, R. D. (1960). The divided self. London, UK: Tavistock Books. Laing, R. D. (1967). The politics of experience. New York, NY: Pantheon Books. Nietzsche, F. (1966). Thus spoke Zarathustra: A book for all and none. Trans. Walter Kaufman. New York: The Viking Press. Nietzsche, F. (2002) Beyond good and evil. Trans. J. Norman. Cambridge, UK: Cambridge University Press. Nietzsche, F. (2003) Writings from the late notebooks. Trans. K. Sturge. Cambridge, UK: Cambridge University Press. Thompson, M. Guy (2006, April). Vicissitudes of authenticity in the psychoanalytic situation. Contemporary Psychoanalysis 42(2). Thompson, M. Guy (2012, February). A road less traveled: The dark side of R. D. Laing’s conception of authenticity. Psychotherapy in Australia 18(2). Today’s guest contributor, Michael Guy Thompson, PhD, is a Personal and Supervising Analyst at the Psychoanalytic Institute of Northern California, author of more than 100 journal articles, book reviews, and books on psychoanalysis, phenomenology, and schizophrenia, and co-chair of the upcoming R.D. Laing Symposium in New York City in October 2013. 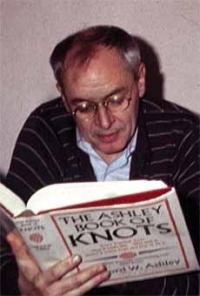 He received his psychoanalytic training with R. D. Laing in London in the 1970s.